"I have worked closely with NFAC for many years now. I have a tremendous amount of respect for their group and trust that they always have my patients’ best interest in mind. NFAC provides state-of-the-art anesthesia care including advanced regional anesthesia techniques to keep my patients safe and comfortable." At North Florida Anesthesia Consultants (NFAC), we pride ourselves on our collaborative partnerships with our surgeons. We realize that the very foundation of that relationship is built on clinical excellence. Over the years, we have hired top quality anesthesiologists and instilled in them the importance of providing world-class service to our surgeons. We have worked tirelessly to avoid complications, cancelled cases, and room delays while maximizing patient safety and outcomes. We have learned from the past and continue to work to maximize efficiency while constantly employing new techniques and best practices to provide your patients the best anesthesia care possible. We cover many subspecialty areas including orthopedics, heart surgery, pulmonary, neurosurgery, pediatrics, and obstetrics. Meet our experts to learn more about subspecialties available at NFAC. We note your preferences and communicate them with our group. We tailor our anesthetic to meet the specific needs of you and your patient. We avoid delays and cancellations by being actively involved in the pre-operative process and ensuring that your patients are prepared for surgery on time. (Our website is a great source of information for patients and will help to answer their questions regarding anesthesia). If a delay or cancellation occurs, we will get to the root cause and make sure it doesn’t happen again. We maximize efficiency and decrease or eliminate room turnover times through the use of swing or flip rooms and streamlined processes. Our anesthesia coordinator will work to keep your schedule running smoothly. 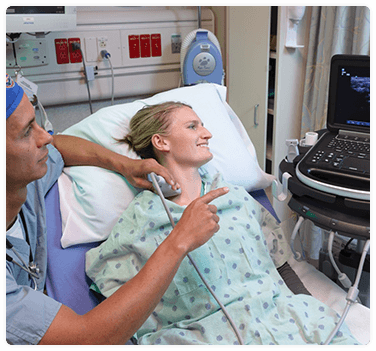 We help manage your patients’ post-operative pain with our acute pain service, delivering state-of-the-art ultrasound-guided regional anesthesia and epidural analgesia. We are receptive to your feedback and work hard to continually improve our service to you. We have a subset of our group that serves as operating room coordinators. They are accountable for making sure your day goes smoothly. This allows us to track how things work and what we need to do to maximize efficiency. We address pre-operative concerns, allay fears, and explain the anesthetic to your patient. If a block or epidural is required, we will place that well ahead of time so there is no room delay. (Our belief is that a regional anesthetic should never slow a turnover). We help out with difficult IV access, often using ultrasound guidance to place IVs. If a patient cancels, we work quickly to call others in to fill the gap and minimize the impact to your schedule. If you need to add on a case, we will get you going as soon as possible. We will watch over your patients in the recovery area to make sure they are safe and comfortable.